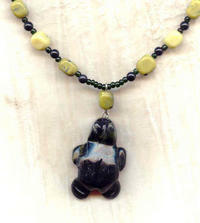 Beautifully carved and polished, this stylized turtle is dark green with a faint dappling of yellow. I've added an approximately 20-1/2" long strand yellow turquoise pebbles that match the lighter patches in the pendant. Yellow turquoise is actually a form of jasper. 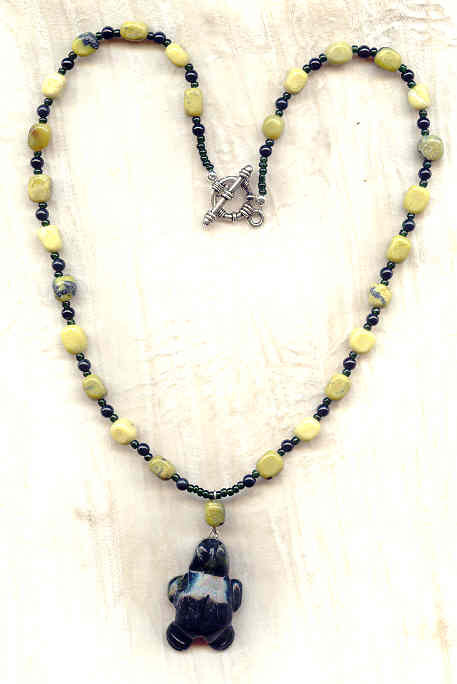 I've spaced the pebbles with 4mm black stone rounds and dark green glass seed beads. The clasp is a large silver plate toggle. It's another handsome pendant necklace from SPARKLE PLENTY. Roughly 1-1/2" in diameter, this bright silver-coloured sand dollar is just the thing for the fellow who hears the call of the sea.